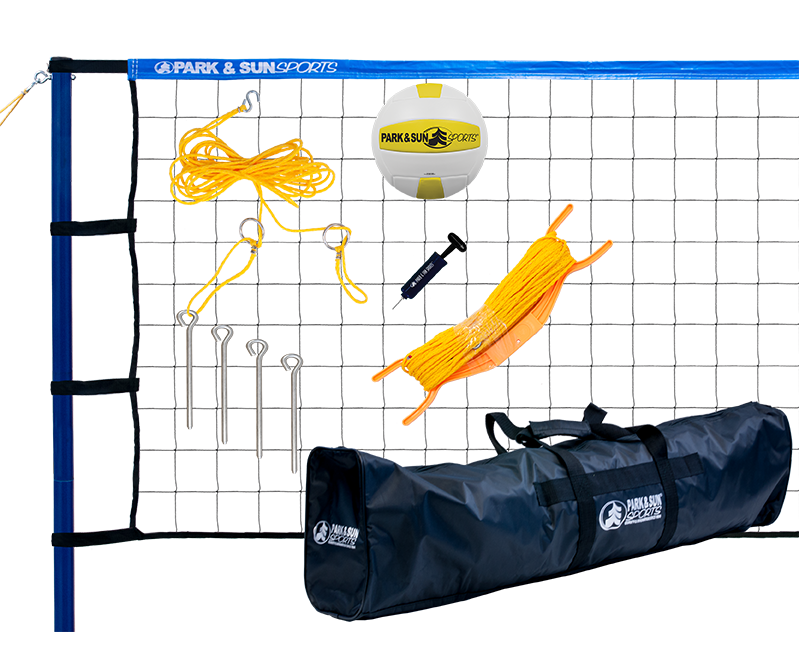 Park and Sun Sports’ Sports Level Portable Outdoor Volleyball Sets were designed with families in mind. 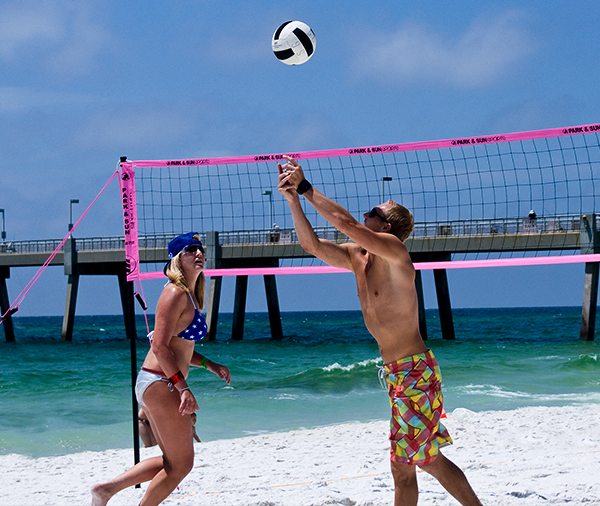 The Spiker Flex and Spiker Sport are truly portable, lightweight volleyball systems that will last as you create memories and remind your family and friends, who the king or queen of the net is! 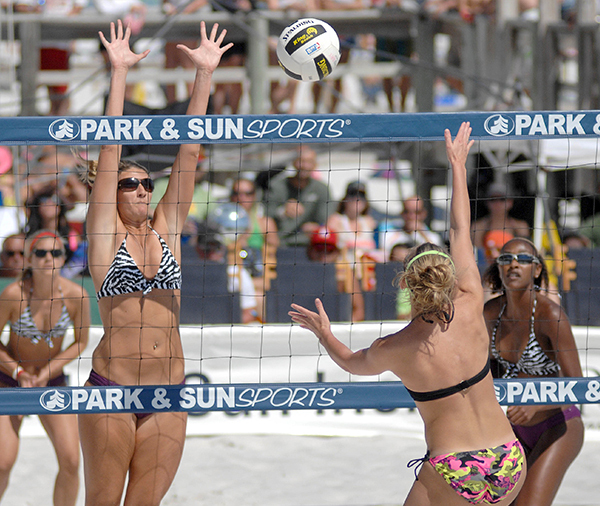 All of our sport level outdoor volleyball net systems feature our high-quality Momentum volleyball net which evenly distributes tension throughout the body of the net. 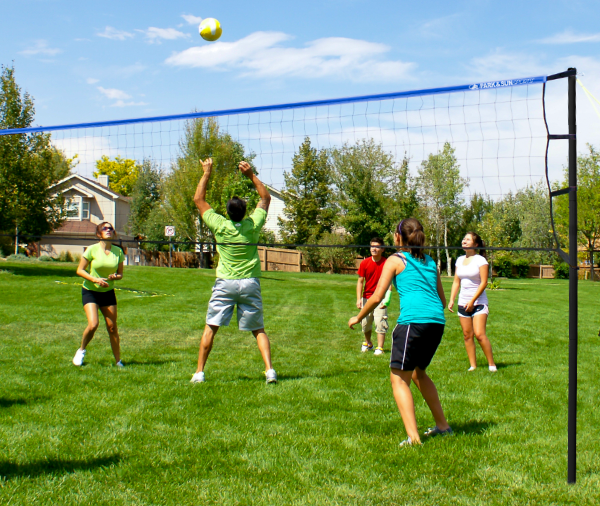 This provides maximum "ball-out-of-net" play, which sets our outdoor volleyball net systems apart from the competition. 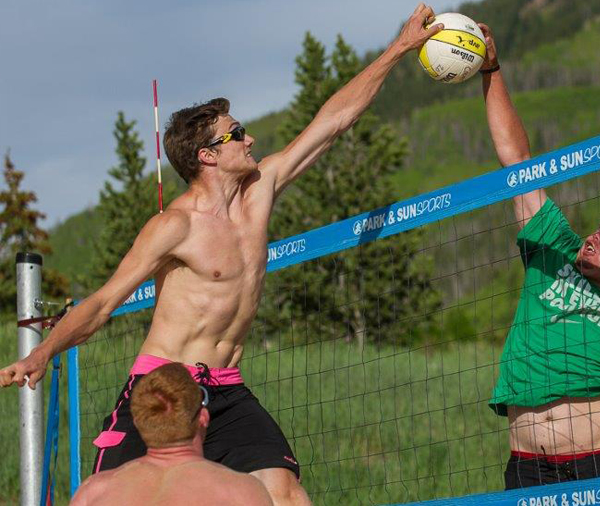 The Spiker Flex’s unique and innovative Flex-net systems allows you near-infinite height adjustments between 36" to men’s official volleyball height of 8' high. 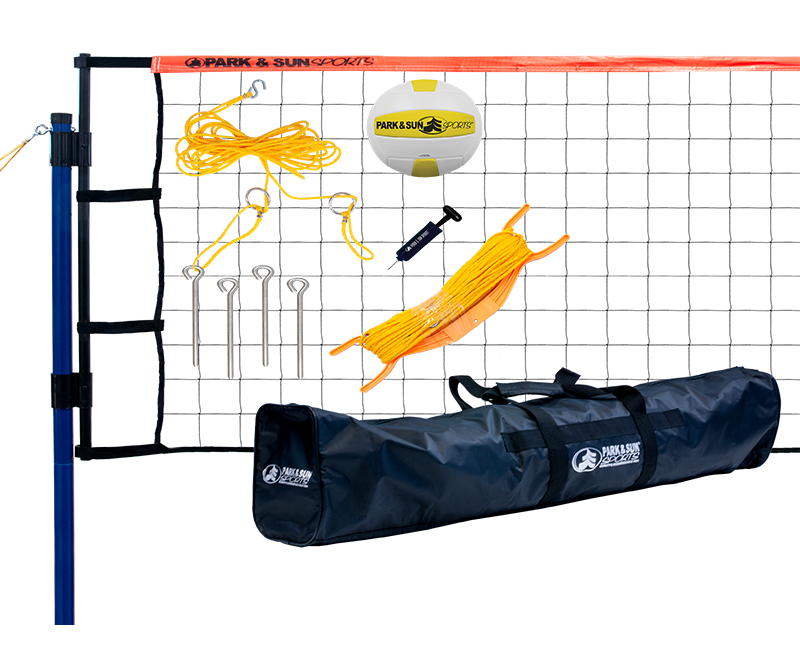 Each sport volleyball set comes fully equipped with everything you need to set-up and have you playing on your volleyball court in no time. 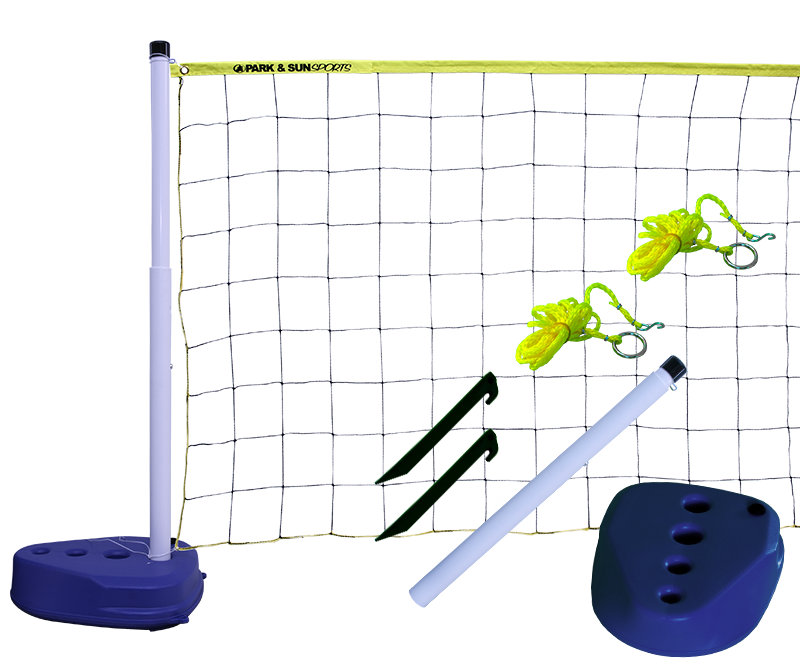 Durable 3-piece steel poles, official size 3’x32’ volleyball net with the original Momentum slip-on strap design, adjustable guyline system with tension rings and 8" steel ground stakes that provide maximum net tension, standard full court 3/16” boundary lines (30’x60’), and a heavy duty equipment bag that makes this lightweight set truly portable, but to complete the set, included is Park & Sun Sports 18 panel soft-touch volleyball with hand pump, so that the only thing that will be deflated is your competition! Make a splash with Park and Sun Sports' Pool Volleyball Set. The Pool Volleyball sport level volleyball net system is perfect for those summer battles in the pool. This set is designed specifically for easy assembly and portability for years of family fun, just add water!